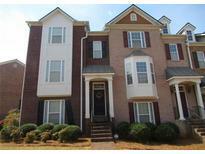 Find Kennesaw, GA Homes for sale. View Photos, Maps and MLS Data Now! Overlook At Marietta Country Club - Walk To Mt.Paran And Kennesaw Mt. 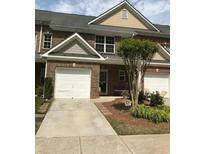 MLS#8566992. Keller Williams Realty. Active Swim/Tennis Neighborhood In Sought After Harrison High School District. MLS#8566859. Keller Williams Realty. Vineyards - French Doors Lead To A Peaceful Sunroom. MLS#6539127. Atlanta Communities. Kennesaw Battle - 2 Car Garage & Newer Roof Put On By The Hoa. Hurry, Great Value! MLS#6539439. Keller Williams Realty Atl Part. 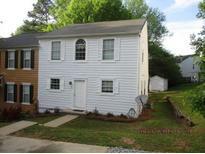 Canterbury - Close To Town Center Mall, Noonday Park & Ksu. Easy, Close Access To I-575. MLS#8566841. Atlanta Communities. Awesome Location For Ksu Students, Shopping And I-75. MLS#6539162. Re/Max Premier. Ridenour - And Save Up To $1500 On Closing Costs Using Our Lender! MLS#6539109. Sellect Realtors, Llc.. Amenities Include Swimming Pool, Tennis Courts, Clubhouse And Playground. Investor Friendly. MLS#6539139. Compass. Don'T Miss Out On This Beauty! MLS#6538951. Keller Williams Realty Signature Partners. This Golden Opportunity Is Waiting For You! 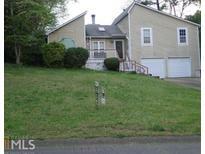 MLS#8565697. Keller Williams Rlty-Atl.North. 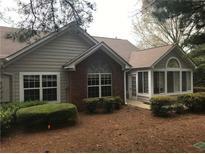 Close To Shopping, Restaurants, Ksu And I-75. Hurry! MLS#6529494. Keller Williams Realty Atl North. Heritage Park - Hoa Includes Pool, Trash, Ground And Exterior Maintenance, Exterior Termite Bond, Pest Control & Landscaping. MLS#6538288. Robbins Realty. Two Parking Pads Plus 1 Covered Garage. MLS#6536377. The Gates Real Estate Group, Inc..
Brookhaven - Patio Overlooks Level Backyard. - Thanks For Showing! MLS#8563359. Drake Realty, Inc..
Stilesboro Crossing - Open Floor Plan! This Won'T Last Long! MLS#8562724. Sibley Realty & Associates Llc. Chastain Park - Home Comes With A 30-Day Buyback Guarantee. Terms And Conditions Apply. MLS#6535320. Opendoor Brokerage, Llc. 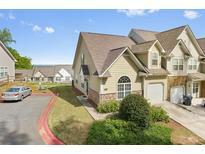 Villas At Barrett Lakes - To Ksu, 3 Min To Whole Foods, Starbucks, Town Lake Mall & Shopping. MLS#6535271. Keller Williams Realty Atl Part. Awesome Location-Easily Accessible To Ksu, I-75 & I-575, Town Center Mall, And Kennesaw Mountain National Battlefield Park. MLS#6535422. Solid Source Realty, Inc..
Cedar Lake - The Privacy-Fenced Backyard Is Perfect For Pets And Enjoying The Beautiful Spring Weather. Welcome Home! MLS#6535588. Harry Norman Realtors. 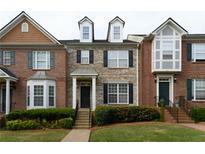 Brookhaven - Plenty Of Shopping And Restaurants Nearby Too! MLS#6533874. Compass. Enjoy The Private Patio Facing Beautiful Green Trees! Community Pool And Walking Trails. MLS#6534199. Mark Spain Real Estate. There Is Another Bedroom And Bath And The Laundry Room. Walk In Closets. MLS#6533856. Janis Mckinnon Realty. 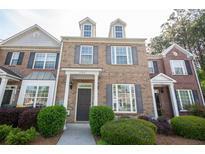 N/Hood Amenities:Water/Sewer, Pool, Clubhouse & Proximity To Kennmtn/Noonday Creek Hiking/Biking Trails, Whole Foods, I-75, Ksu, D/Town Kennesaw & Marietta Square. MLS#6532987. Keller Williams Realty Signature Partners.